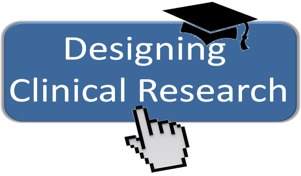 August 1, 2011 marks the official start date for Designing Clinical Research (DCR) for Students and Faculty. The majority of scholars will assemble on Monday and Wednesday mornings in the traditional lecture hall at the Parnassus campus. Twenty self-selected learners will take the course completely online via the UCSF Collaborative Learning Environment, AKA Moodle.